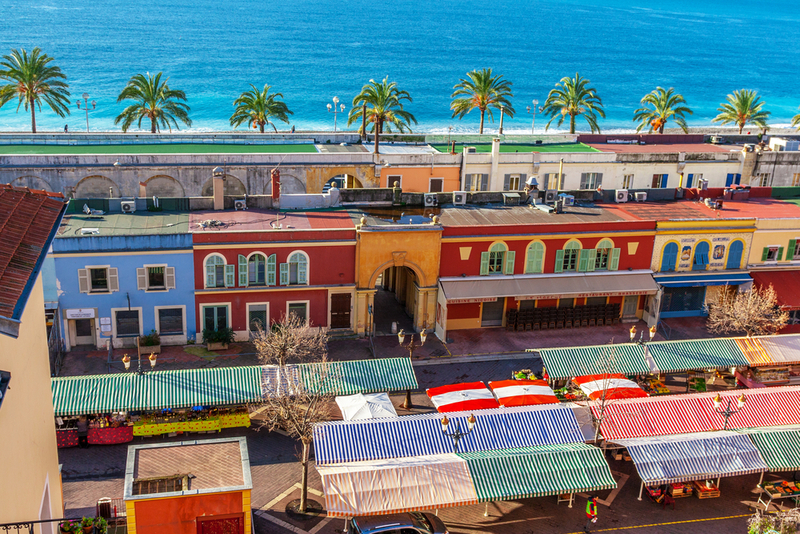 Nice has some really trendy neighbourhoods where you can find the coolest shops, fashionable bars, beautiful beaches and new art. Here’s our list of where to go. Old Town is still the heart of Nice, just as it was in the 16th century. Today it’s where you’re as likely to find the older generation having a chat over a cup of coffee as you are to find young people drinking in the trendy new bars. Head to the famous flower market, which is an institution; it’s a great place to find Socca, the local chickpea pancake (a bit like a crepe). The Cathedrale Sainte Réparate is a wonderful place to visit and still holds a powerful place in local life. But most of all, just wander the back streets among the pastel buildings and take in a little of old and new Nice. New Town, as you would expect, is filled with grand avenues and tree-lined streets that house the smart shops and restaurants that are synonymous with Nice. Place Masséna is at the heart of this district and roads lead out from here in all directions. Wander the smart department stores or visit the MAMAC, the Museum of Modern and Contemporary Art. If you’re after some older artwork, head to the Musée Masséna, which has some amazing work from the 18th century and later. It was built for a rich aristocrat and bequeathed to the city on his death. This area is the place for shopaholics and those who want to window shop – especially anyone who likes the latest, fantastic clothes and state-of-the-art chocolate shops. The port is often overlooked for Old Town or New Town but it’s incredibly charming. Head to Pointe Rauba Capeu, where the wind is said “to steal your hat”, to get amazing views. Otherwise trawl the antique stalls at Puces de Nice or just watch the boats come in and out. The restaurants and bars are lively and smart, not like some port areas. This is a port just as much for the cool “boat crowd” as it is for those who like a fun place to drink. The chateau doesn’t exist anymore but you can still climb the hill where it once stood. It’s well worth the effort as the views are phenomenal at the top. One side overlooks the Baie des Anges, while the other overlooks the port and the daily ferries and cruise ships. It’s a perfect place to get a panoramic shot to put on your Instagram account. 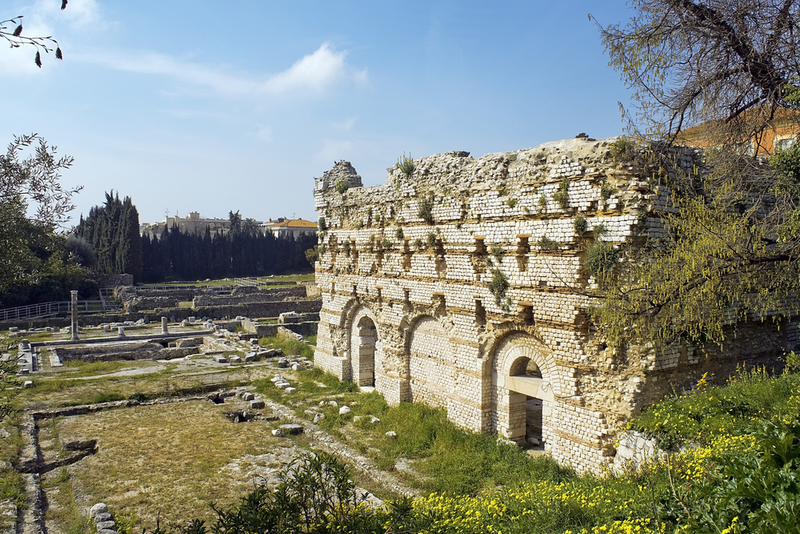 Cimiez was an old Roman outpost and still has the remains of Roman life; the Musée Archéologique de Nice-Cimiez is a must-see if you want to find out more about life since the Romans and is situated near the fantastic old baths and amphitheatre. Centuries later, the area was brought to life by the rapid influx of rich aristocrats looking to winter in warmer climates. These included Queen Victoria, who made Nice fashionable over the course of her visits. Many grand hotels sprang up to accommodate the new tourists. Cimiez is just as smart and elegant today and boasts two wonderful museums to celebrate the work of two of its most famous residents. Head to the Musée Matisse to see the painter’s old home and artwork. And just down the road is the Musée Chagall, which houses his fantastic stained glass windows and biblical paintings. This is the neighbourhood to have a stroll, where you’ll find trendy young parents and families having a picnic. Nice has a series of different beaches that curve round the bay (the Baie des Anges). Some are private where you can sit on a sumptuous sun lounger and order your cocktail while listening to the latest tunes. Others are public, free and offer a more intimate and busy experience. Check out our list of the best here. 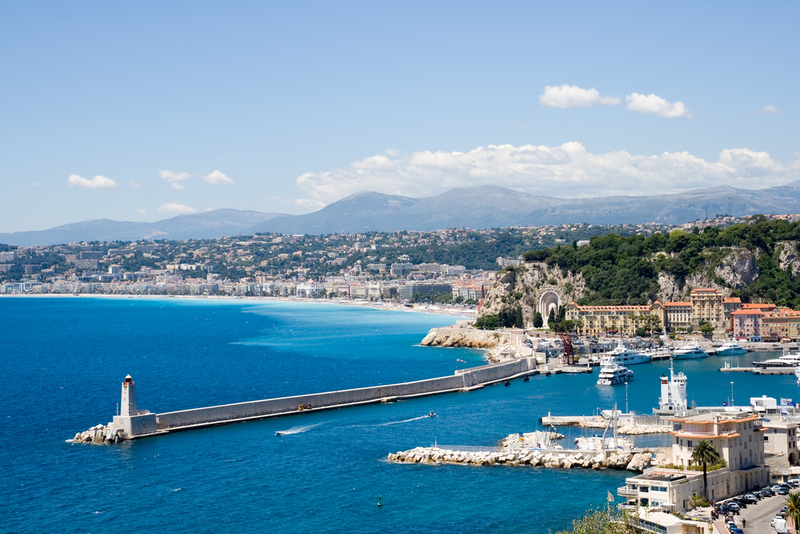 Whichever you choose, you can’t escape the famous Promenade des Anglais. Built by beggars and funded by the English, it runs the entire course of the bay and is a wonder to walk along. You’ll find every slice of life here – buskers, diners, artisans, etc. A visit to Nice is not complete with a coffee or glass of wine along the seafront in one of the trendy new bars.